The Cupar burgh arms has three wreaths of bog myrtle on it. 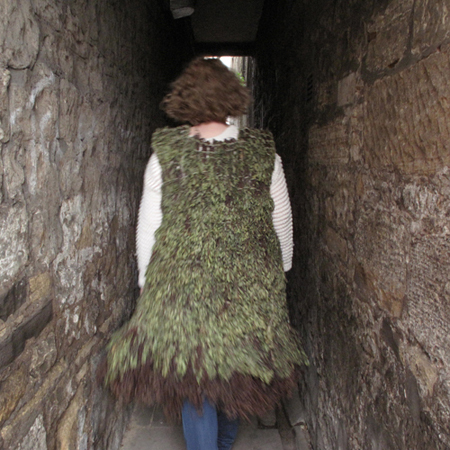 In 1559 troops faced each other for battle at Cupar Muir, battle was averted and a truce signed.Tradition has it that the Cupar burgh crest of bog myrtle wreaths dates from this event.The coat was made using bog myrtle and based at Scotts ladieswear shop on the Bonnygate in Cupar during the festival. People were invited to come in, wear the coat and bring it back to Scotts. 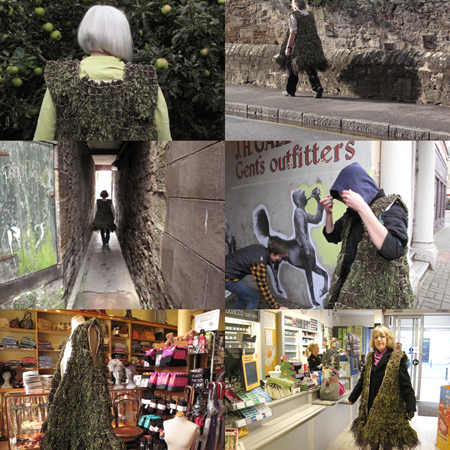 The coat had its own facebook page which had information on past uses of bog myrtle, the development of the coat and pictures of the coat being worn around Cupar.